Australia’s baby boomers look set to boost the ranks of Australia’s army of active volunteers over the next few years, with new research revealing that four in every five Australians (82%) aged 50-64 plan to spend time volunteering when they retire. The research results also show that volunteerism is not just limited to the baby boomers and extends to older Australians in general, with three-quarters (76%) of all people aged over 50 saying they had plans to volunteer during their retirement. Over 50s insurance provider, Apia, announced the findings of the research today to coincide with National Volunteer Week, which runs from 9-15 May. The research also found that the baby boomer generation is still very civic-minded, with 96% of survey respondents saying that they thought volunteering was an important way to give back to the community. Apia Executive Manager Darren Smith says that volunteers played an important role, both in Australia and wider afield, and it was inspiring to see so many older Australians keen to get involved. Smith says National Volunteer Week provides a great opportunity to show appreciation for the million Australians who volunteer every year, and Apia particularly wanted to highlight the important role played by older volunteers. According to Australian Volunteers International’s (AVI) Marketing and Communications Manager, Christine Crosby, more and more members of Australia’s baby boomer generation are also looking to use their skills and experience to make a difference in communities overseas. Crosby says currently 40% of Australians who put up their hand to contribute to Australian Volunteers International’s programs in Asia, the Pacific, Africa and the Middle East are aged over 50. She says Australia’s baby boomers bring a wealth of life and work experience and a range of skills to their two-year volunteer placements, and this is highly regarded in the communities they are working with around the globe. Apia’s research is based on an independent telephone survey conducted by Newspoll of 2,060 Australians aged 50 years and over across all states and territories between March and April 2011. Further Apia’s research also showed that Australians were getting involved in volunteerism in a variety of ways, with volunteering outdoors the most popular (28%), followed by administration (27%), food preparation (18%), teaching (17%) and fundraising (11%). 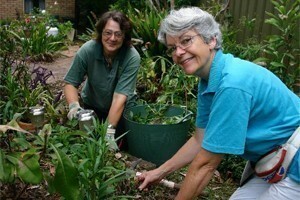 Two in every five Australians over 50 (43%) are currently involved with a charity or volunteering organisation. New South Wales residents aged over 50 were the most likely to say they planned to volunteer during retirement (79%), while Victorians were the least likely, coming in at a still very robust 72%. Females were more likely than males to have volunteering on their bucket list of things they’d like to do during retirement – 82% compared to 75%. Women were also more likely to currently be involved in a volunteering organisation or charity at 47%, compared to only 37% of men aged 50+. Baby Boomers have very different expectations to their predecessors. I do not dispute that Australians are very keen to help their community. Baby Boomers we know from ABS stats have very high volunteer involvements. However, the data over the last few years has shown a decline in percentage terms the number of BBs volunteering AND in the number of hours they volunteer. The answer to the question would be very, very different.